We are an Interior Design Firm and Showcase Hunter Douglas Professional Dealer. We are committed to providing our customers top quality products and customer service. We work with manufacturers that are leaders in the industry like Hunter Douglas, Robert Allen, Carole Fabrics, Kravet, DuraLee. Our professional installers are licensed and insured. With quality custom window treatments and the best window treatment designers in Southern California, we have you and your windows covered. Book an In-Home Design consultation today to get started! Our business was founded in 1978. As our client base grew, our client needs expanded, and the company offered more products to handle our diverse client base. Window Tint Los Angeles specializes in residential and commercial window film applications that provide increased privacy and energy savings. We install all types of window film types such as but not limited to privacy window film, UV window film, architectural frosted window film, anti-graffiti, sun control, security film etc. We are a fully authorized Huper Optik and Llumar window film installer. Our company is driven by a single, straightforward mission: to provide quality service using superior window films at a fair value, each and every time. Window Tint LA proudly completes window film service and installation across all of the Los Angeles region and surrounding cities. We have become Southern California's window tinting industry leaders, and our business continues to grow because we have never forgotten those tried and true values of our original mission. We encourage you to browse through our gallery of project photos\, and/or to grab the phone and call us to ask any questions you have about your prospective Los Angeles window film project. We're here for you! Our custom draperies, valences, and Roman shades enhance your rooms with dimension. No matter how well furnished and architecturally detailed your decor needs the finishing touch of custom drapes. Michael Diaz (owner) personally measures, designs and oversees the completion of each job. We have a lifetime guarantee on the wood construction of our shutters. Start-to-finish in-home service for custom window treatments and soft furnishings -- serving Orange County, CA and surrounding areas since 1987. 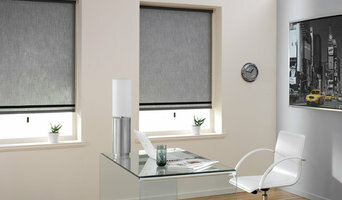 Window treatments include custom draperies, roller and Roman shades, Shutters and Blinds. Soft furnishings include custom bedding & pillows. Furniture Reupholstering. Outdoor decor, including solar and Sunbrella pergola shading, custom outdoor draperies and custom outdoor cushions. We customize interior and exterior window treatments for your home. We can work with your designer, architect, AV company & contractor to provide you an end product that is seamless with your home. Atmosphere Interiors is built on relationships. Your loyalty is the backbone of what the company is built on: customer service, quality, style and the right price are my building blocks. A-Pro Glass Tinting is your local, experienced, commercial and residential window tinting specialist with twenty years of experience serving L.A.’s Westside area. Assists high-end interior designers, architects, contractors + set decorators with custom motorized + manual window treatments, bedding, furniture & wall upholstery. For 60+ years, our master craftsmen have outfitted the private homes & exclusive retreats of America's elite. Our dedication to perfection has made Woodfold Shutters, the hallmark of exceptional home. We are a family owned company that specializes in motorized & manual window treatments in LA. We have been assisting in designing window treatments & installation projects throughout CA since 1990. We specialize in Automated and Manual Window treatments. We customize interior and exterior window treatments for your home. It is NEVER too soon to start planning your window treatments. The best time for you to start your window treatments is in the planning and framing stages of your new home or home renovation. We will work side-by-side with your designer, architect, contractor, and AV company to provide you an end product that compliments your windows and your lifestyle.